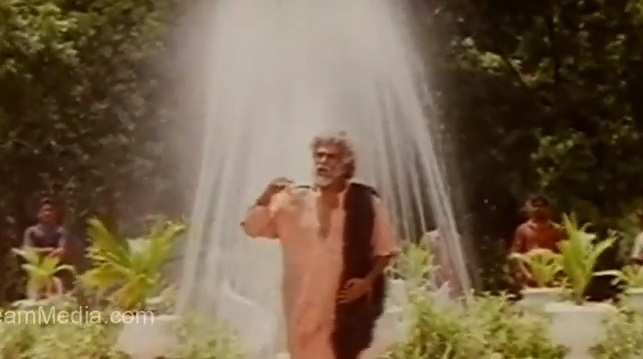 A kind-hearted Zamindar (Rajinikanth) when cheated by close relative, hands over all his property and his baby to his sister-in-law and brother and goes to the Himalayas, wanders like a beggar ~ that was Muthu. Beggars have been at the core in many movies. In Naan Kadavul of Bala, Rudran (Arya), who in his childhood was left in Varanasi by his parents comes back to his homeland where he encounters a new world of physically and mentally challenged beggars. Often beggars are portrayed as earning high money, possessing assets and some fat bank balances too ! Many feel that some though able-bodied resort to begging as an easy way out, instead of doing any physical work !! The protagonist of the story is a handsome, charming and popular man called Hughie Erskine, who is unlucky to be poor. Having no job, Hughie's only source of income is two hundred pounds a year which is given to him by an elderly aunt. Hughie has fallen in love with a young lass whose father due to his poor financial prospects, does not want the young man to marry his daughter. One day he is moved to pity by the sight of an elderly beggar who is posing as a model for his artist friend. Although he can barely afford to do so, the young man gives the beggar the largest denomination coin that he has in his pocket. The young man's act of kindness has unexpected positive consequences for him ~ that was the story titled "The Model Millionaire" by Oscar Wilde, published in 1887 and was part of our Non-detail syllabus in school days. Miles away, there was fury as a person who regularly hits the streets imploring people for food and money was seen getting in to his £50,000 Audi TT at the end of his 'shift'. 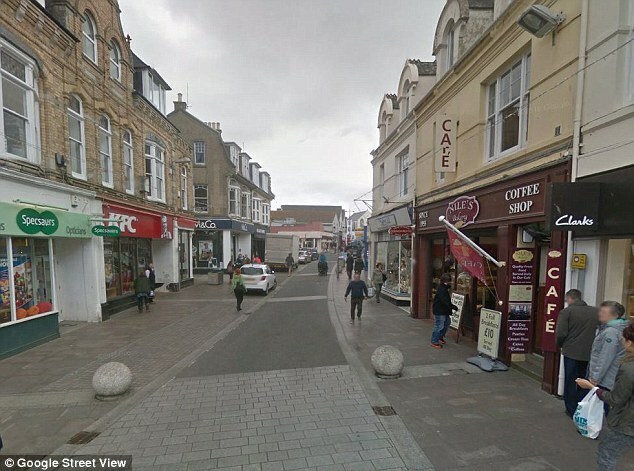 MailOnline reports that Matthew Brinton, 35, and his dog Hazel are well known on Newquay streets. A beggar says he has received death threats after he was spotted getting into a sports car worth up to £50,000 after a day on the street. Matthew Brinton, who has for years asked for money in Bank Street, Newquay, Cornwall, with his border collie Hazel, was filmed climbing into his Audi TT in a local car park. The 35 year old man said that the sportscar was bequeathed to him by his grandmother. An illegal street beggar in one British city is raking in up to £500 a DAY - despite not being homeless, it emerged – the unnamed male scrounger has been targeting shoppers and commuters in Wolverhampton where he been making the equivalent of £2,500 a week. His staggering takings would amount to a pre-tax annual income of around £130,000 - only £12,000 less than Prime Minister David Cameron's yearly wage. Wolverhampton's environment boss, Labour Councillor Steve Evans, says "by and large" beggars in the city are not homeless and just want money for booze. More than 100 people have commented on a Facebook post showing Matthew Brinton loading the TT before driving off. Many say they feel deceived after giving him food and money when in reality he had a sportscar and a place to stay in Newquay. But Brinton says he is in despair and starving because the donations have stopped. He said: 'I have not seen any of the social media posts because I do not have access to the internet but according to the police I've had lots of death threats. 'People are assuming too much and I'm getting a lot of abuse. This has been going on for years'. On Facebook there has been a mix of abuse and support, with some admitting they would like to 'drive him out of town'. One critic said: 'I'm particularly disgusted as he conned £40 from an elderly gentleman I know to 'pay for a B&B' for the night' Then went home! The poor elderly gent was distraught that his kindness had been abused in such a way'. Another said: ''I brought him hot food and a hot drink was very rude and ungrateful in front of my sons who were 8 and 12 at the time. I told them most homeless people were grateful and not rude like him'. Police say they believe Matthew Brinton has since lost the car and any money he had and is now back to taking to the streets. Newquay's top police officer, said that threats had been directed at Matthew, but none were deemed to present an immediate risk to his safety. Police confirmed that no criminal investigation was being pursued. PS: would follow this with another post !